These heavily forested counties are more demographically stressed with high ignitions and large area burned. There is considerable federal ownership and often a forest products industry. Example of a Typical County — Idaho County, Idaho: Idaho County is 86% federal. This land base includes the Nez Perce National Forest and BIA land where large fires are a regular occurrence. 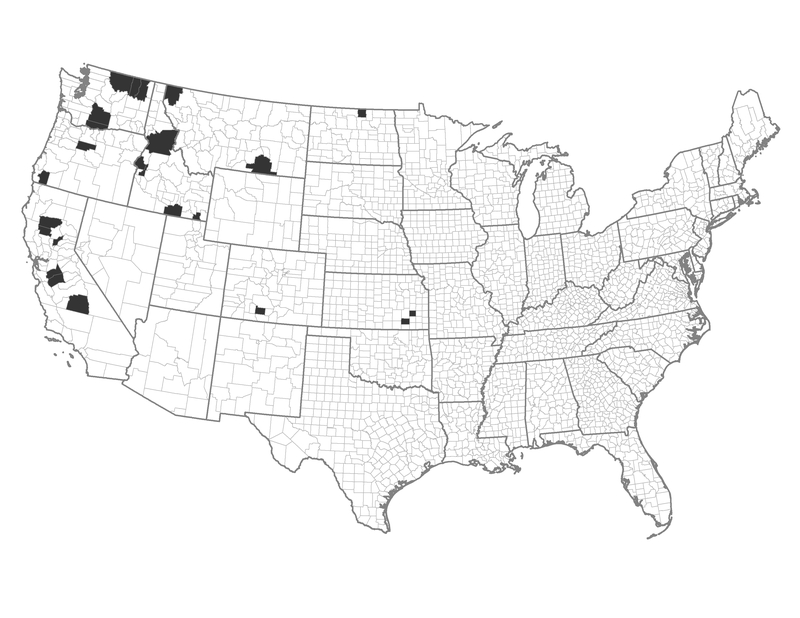 Counties in this combo have high risk to large wildfires, but some have less potential than others for resource benefits. Strategic use of prescribed fire, mechanical treatments and wildland fire may all be useful for satisfying objectives. Mechanical treatments may be economical because there is an active forest products industry nearby. Community protection will be a primary focus for these counties. Communities can plan and take coordinated action. This can include the creation of buffers and strategic fuel breaks. Individual homeowners can be proactive on home defensive actions.